​Cristiano Ronaldo has spoken up about his move to Juventus and the differences he feels in the attitude and togetherness compared to Real Madrid, as well as missing his individual battles with Lionel Messi. 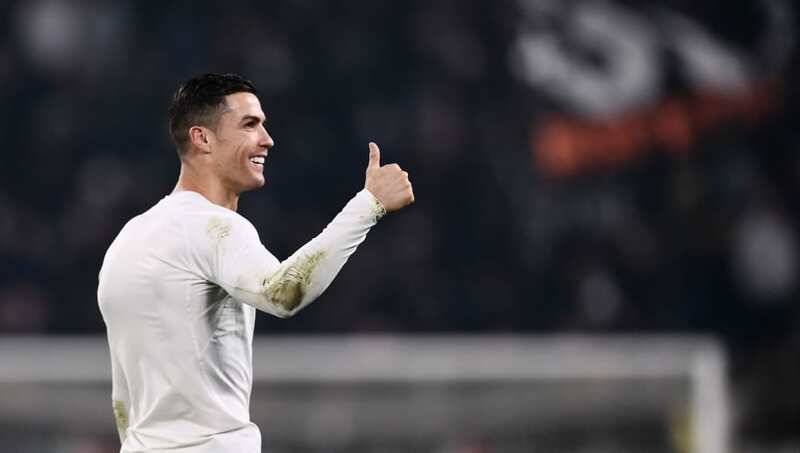 Ronaldo has endured a fruitful start to life in Turin to say the least, helping ​Juventus to the joint-best start ever recorded in Europe's top five leagues since the three-point era began, with 10 goals and six assists in Juve's unbeaten record of 14 wins from 15 games. And, speaking to ​La Gazzetta dello Sport, when asked to name who impresses him most in the Old Lady's squad, the forward could only admit to it being the greatest one he's been a part of, saying: "It's not fair to name just a few, but I can say that this is the best group I've ever played." He then highlighted the difference between his dressing room in Italy and his previous one in Spain, adding: "Here we are a team, elsewhere someone feels bigger than others but here they are all on the same line, they are humble and want to win. "If Dybala or Mandzukic do not mark, you still see them happy, smile. For me it is beautiful, I perceive the difference. Even in ​Madrid they are humble but here... I feel they are more so. It is very different from Madrid, this is more a family." Gareth Bale scored his first goal after 8⃣0⃣2⃣ minutes to win a crucial game for Real Madrid. Asked whether he wants any of his former teammates, as has been repeatedly rumoured, to join him in Turin, Ronaldo proclaimed: "I see you write about James, Bale, Asensio but I'm honest, Juventus does not need other players. You must talk to the president. "On the future, I do not know. Marcelo is strong, we open the doors to good players and Marcelo is one of them." ​Ronaldo was also probed on his individual rivalry with ​Messi, and whether it was something he missed from his time in La Liga. However, he preferred to consider a future move for the Argentine to Italy than look back on the nine-year battle they had: "No, maybe I miss him... I played in England, Spain, Italy, Portugal, in the national team, while he is still in Spain. Maybe he needs me more. "I would like him to come to Italy one day. Like me, accept the challenge. However, if he is happy there, I respect him: he is a fantastic player, a good guy but I do not miss anything here. This is my new life and I'm happy."